It's already been a busy 2017 and were finally putting the past year behind us. It's a new era and a new day and were going forward...with thoughts of custom, hand rubbed finishes on our mind. In this issue I'm showcasing and sharing a little about one of our favorite custom "distressed" finishes, which are growing in popularity and request. You are getting the best of two world...the new and old. Were using new wood (Alder in this example), using a dark stain overlaying numerous lighter, under coats and then sanding it lightly to bring out the multi-layered bottom coats in a natural "weathered" look. It is both elegant and country chic. I'd be happy to show you small samples (Left) or customize your own color palate. 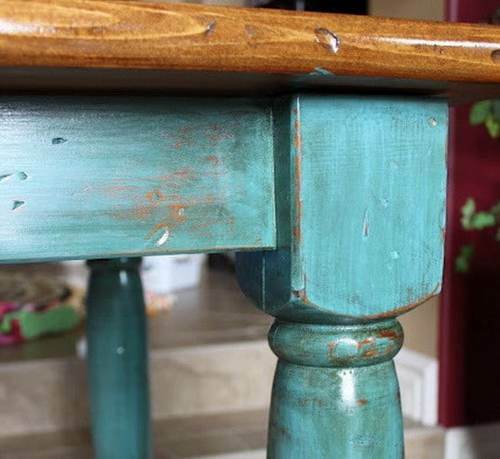 Distressing (or weathered look) in the decorative arts is the activity of making a piece of furniture or object appear aged and older, giving it a "weathered look," and there are many methods to produce an appearance of age and wear. 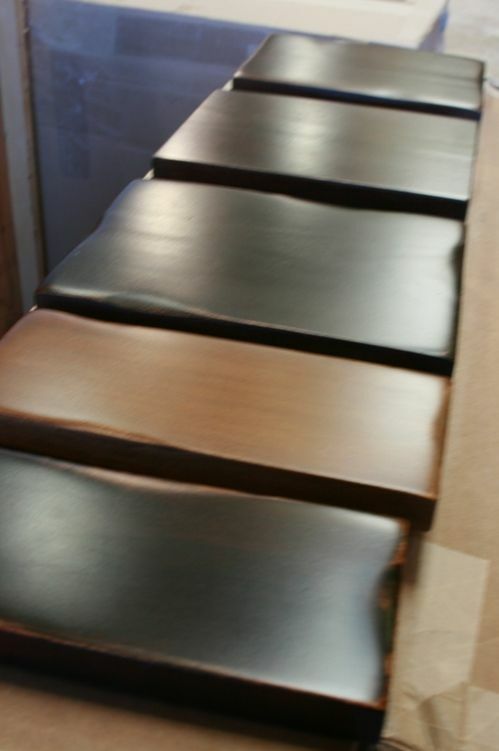 Distressing is viewed as a refinishing technique although it is the opposite of finishing in a traditional sense. In distressing, the object's finish is intentionally destroyed or manipulated to look less than perfect, such as with sandpaper or paint stripper. For example, the artisan often removes some but not all of the paint, leaving proof of several layers of paint speckled over wood grain underneath. This becomes the "finished" piece.